With arguably the best weather in all of Australia, more and more Queensland families are choosing to invest in outdoor living areas for their family home. 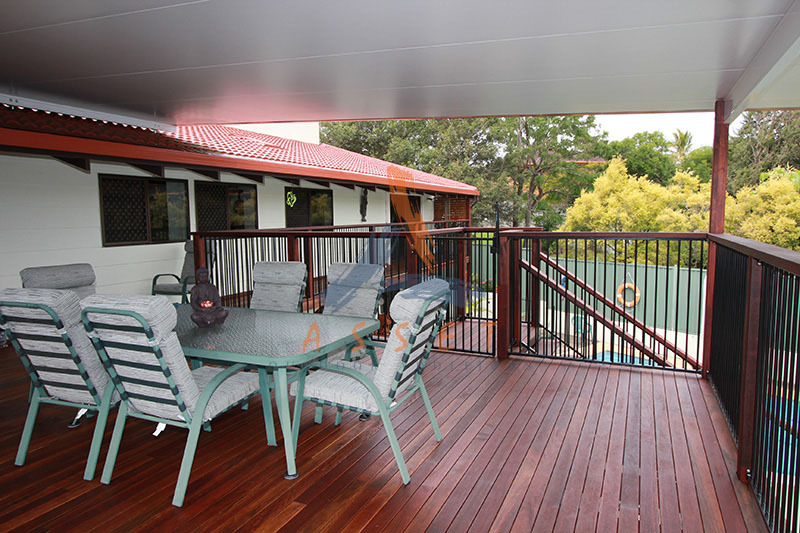 Building a high level timber deck, or covering those unusable areas with low or multi-level timber decking, is a cost effective way to add an extra living and entertaining area to the family home, whilst adding tens of thousands of dollars to the value. They can also be multi-functional, providing extra storage space or parking for cars underneath. 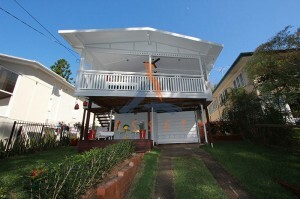 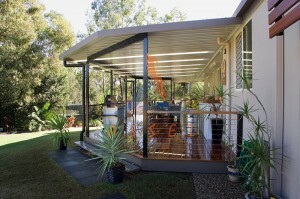 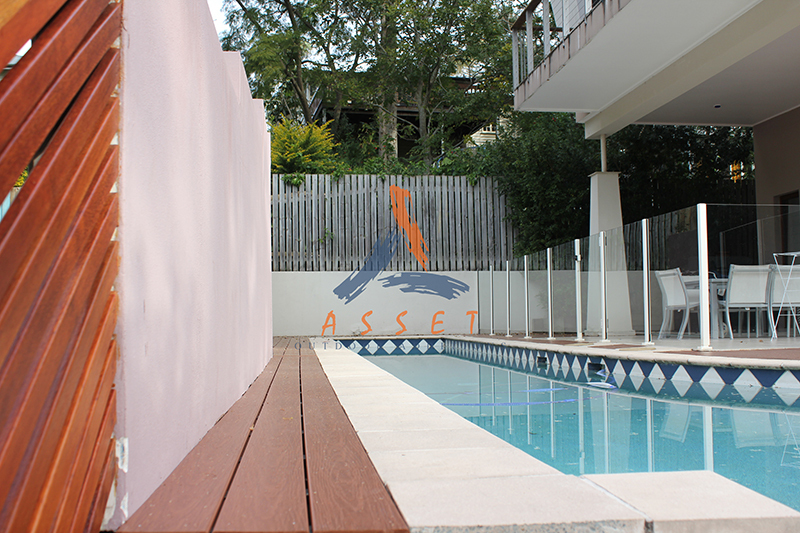 When you choose Asset for your building requirements, you will be the envy of the neighbours. 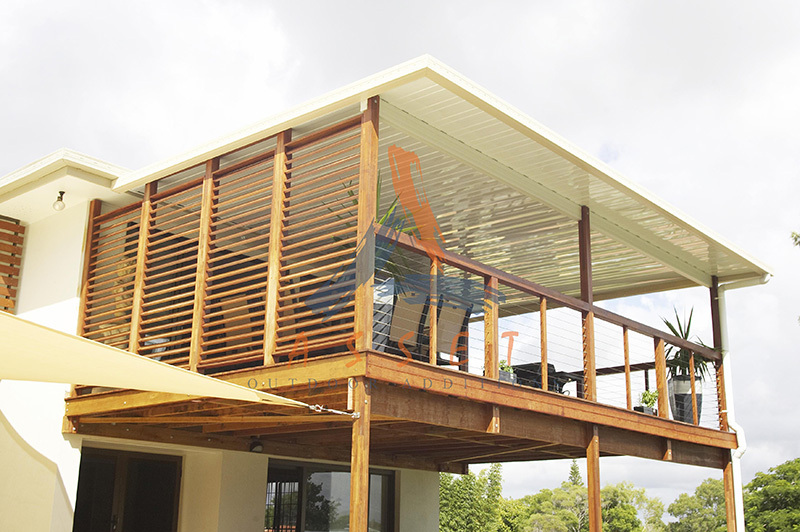 From top to bottom, we use only superior quality materials, which is combined with superior workmanship from our builders. 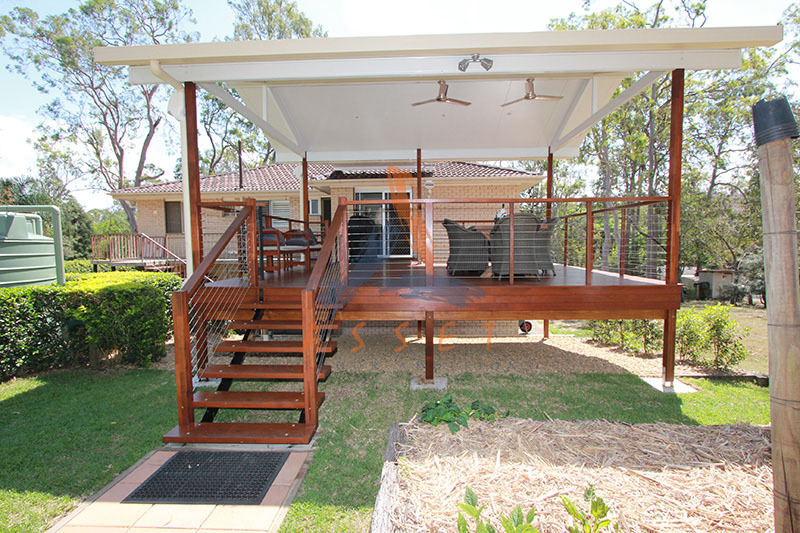 We offer a choice of kwila hardwood or steel for the frames, reinforced with the strength of kwila laminated posts that do not warp. 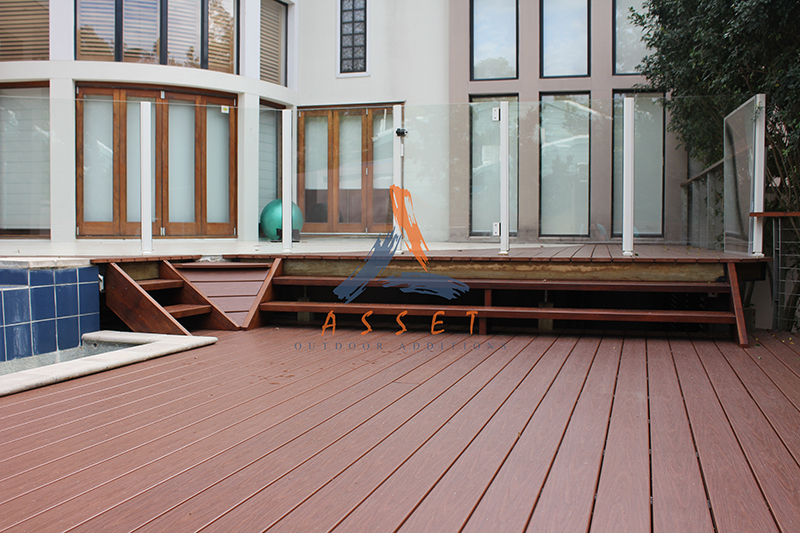 We then finish the look with hardwood stairs, and a range of stylish handrails, including traditional timber, modern stainless steel, or glass balustrade. And for added protection for your decking, install one of our quality patio roofs that will perfectly complement your new deck, and give you an area that you can utilise all year round. 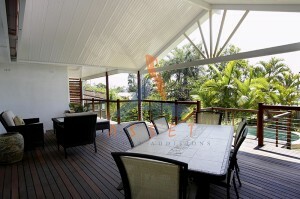 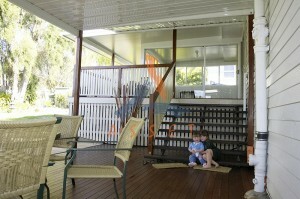 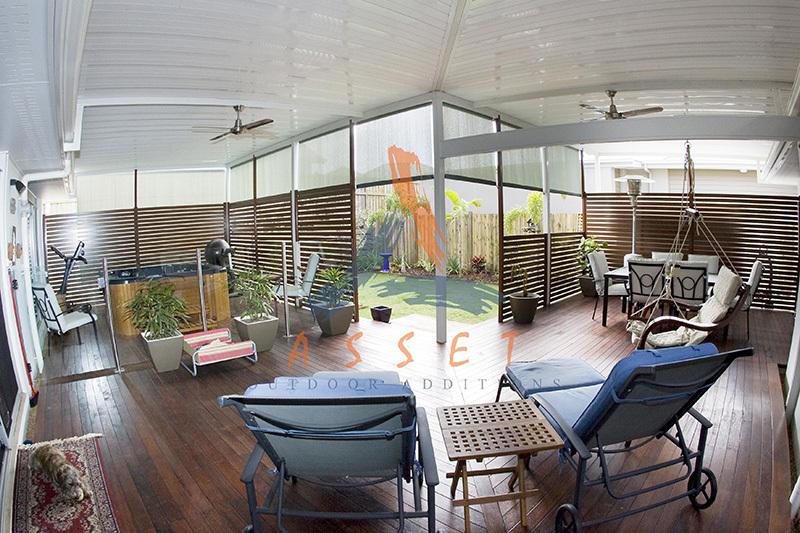 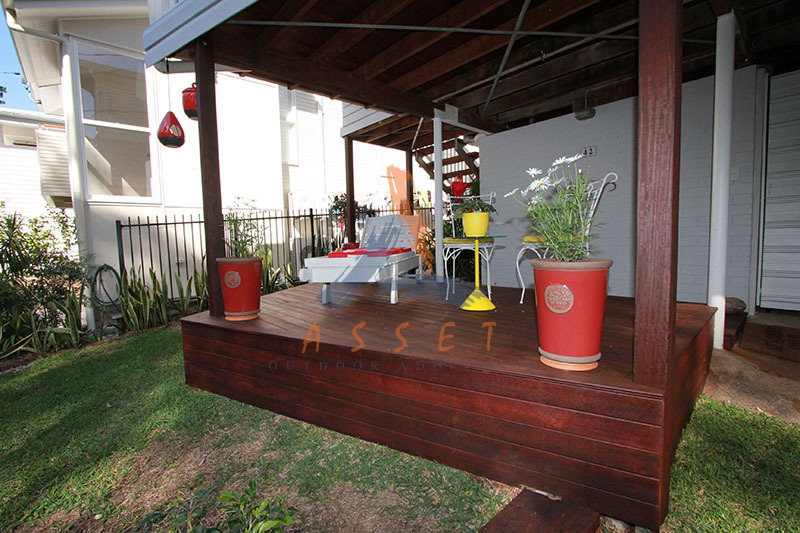 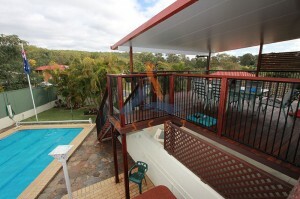 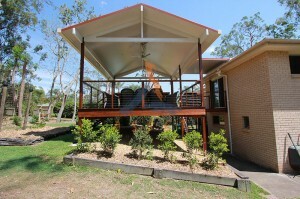 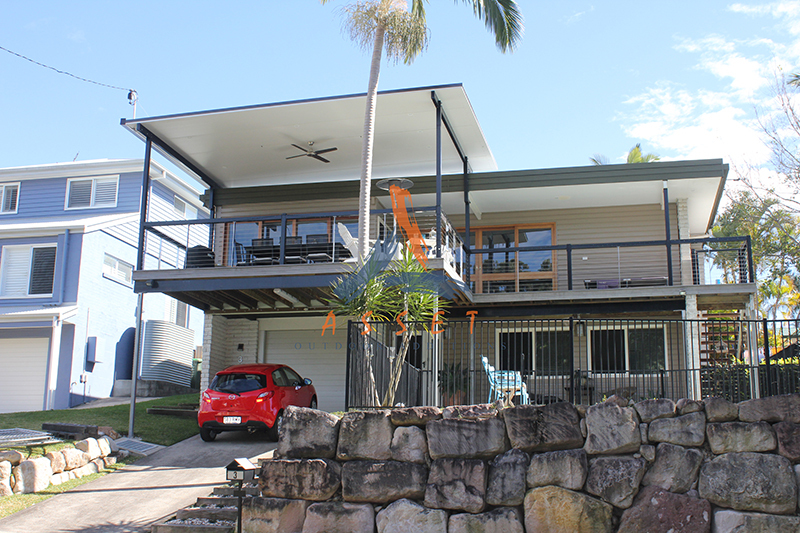 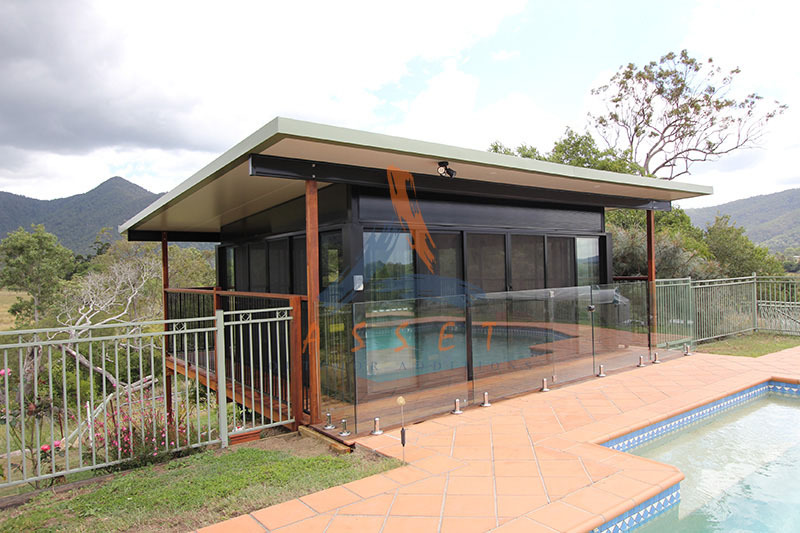 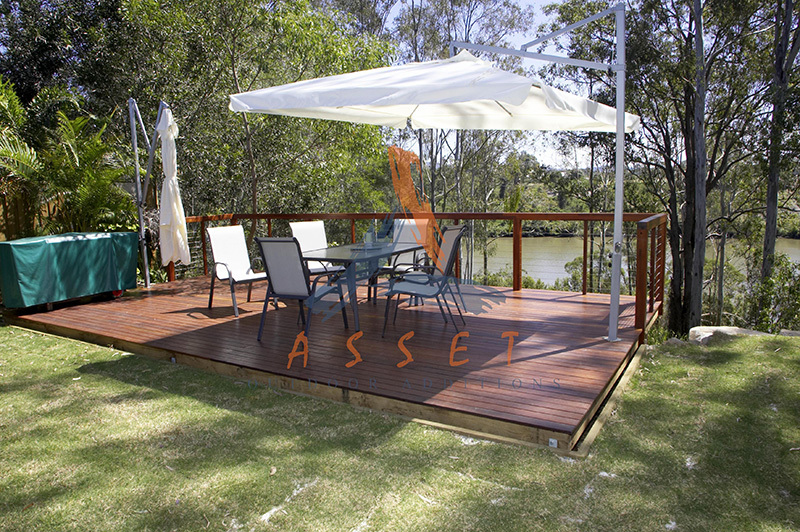 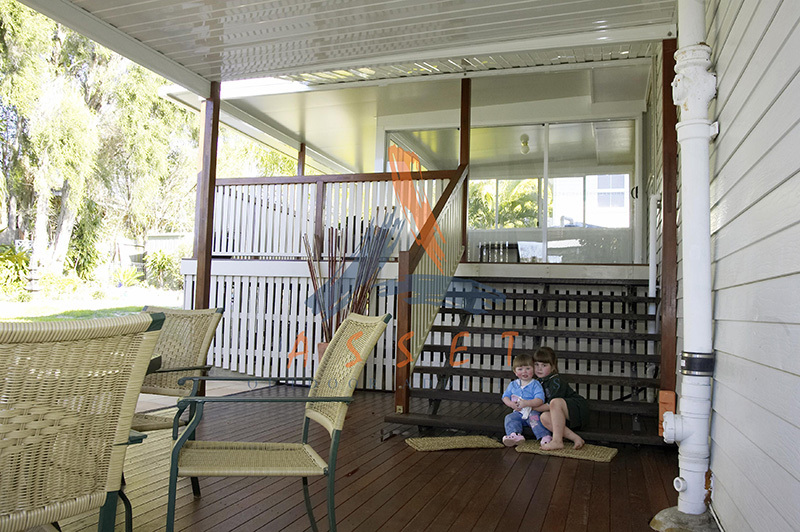 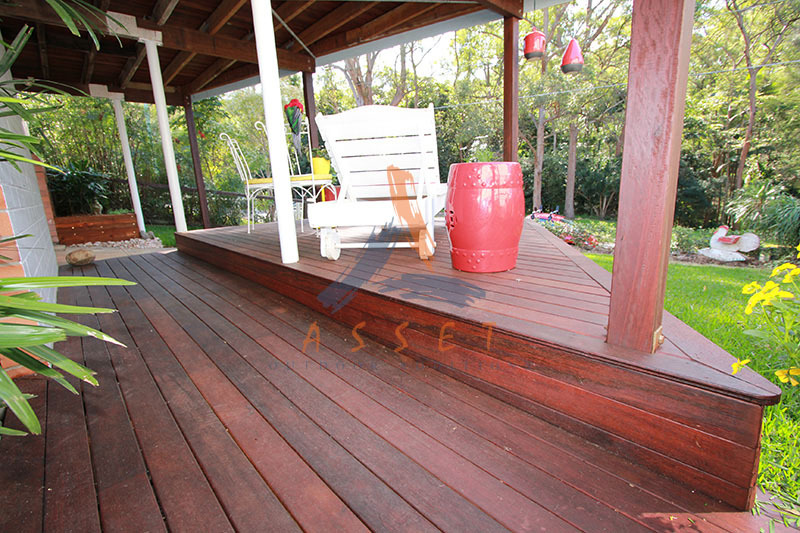 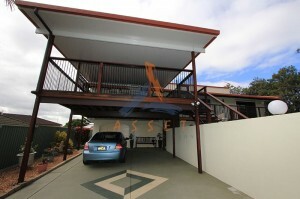 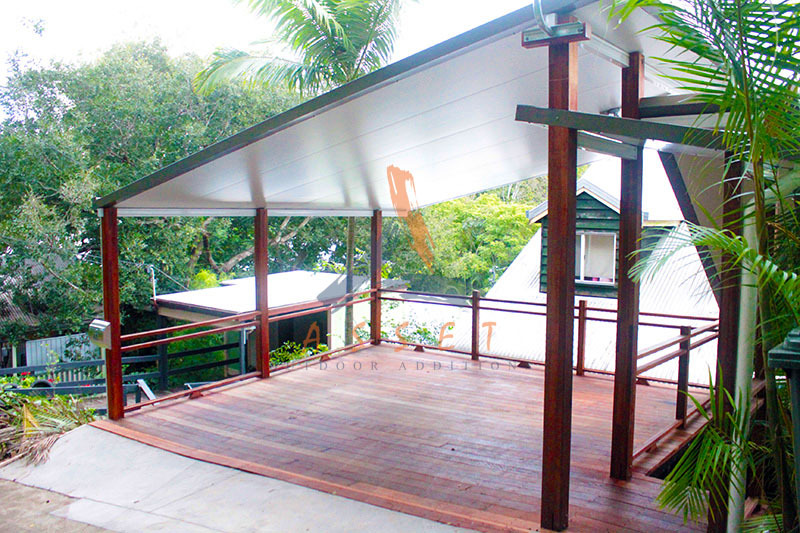 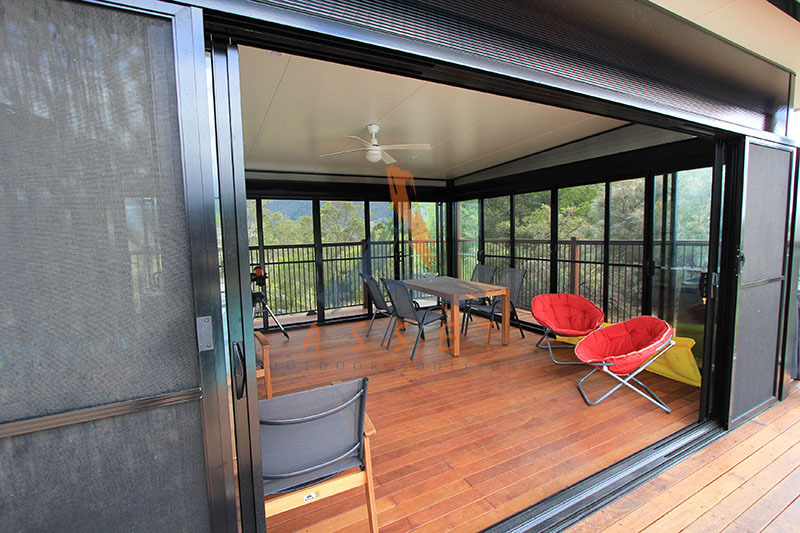 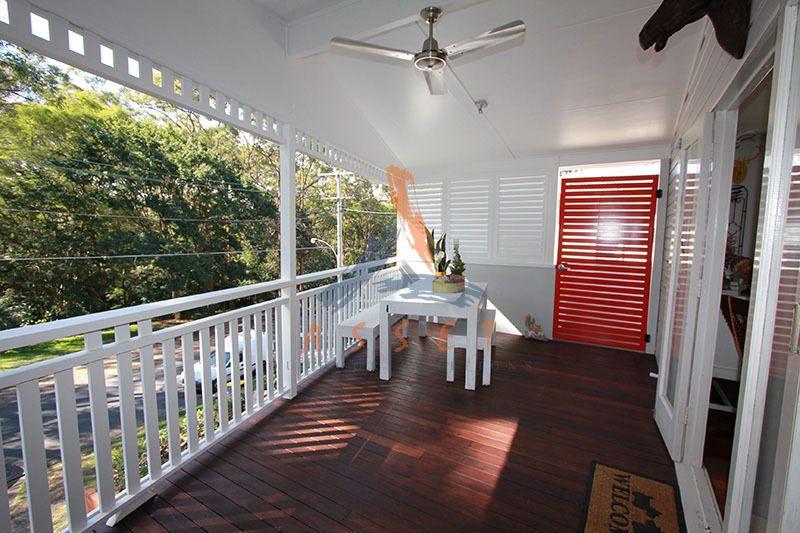 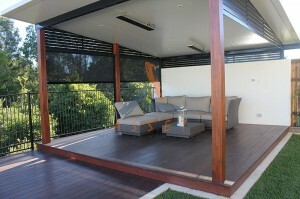 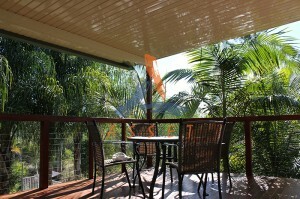 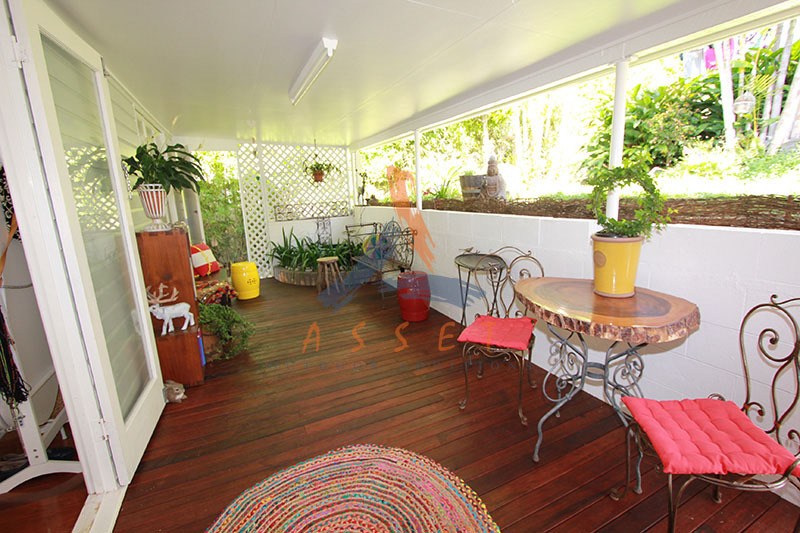 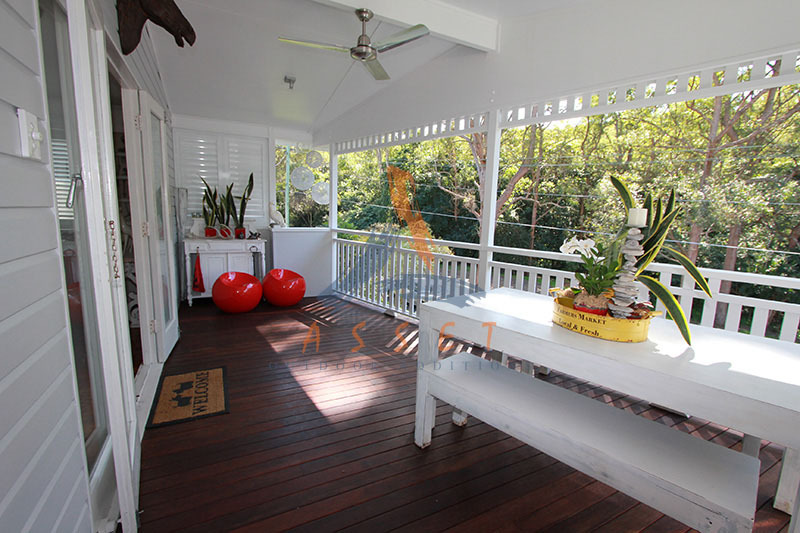 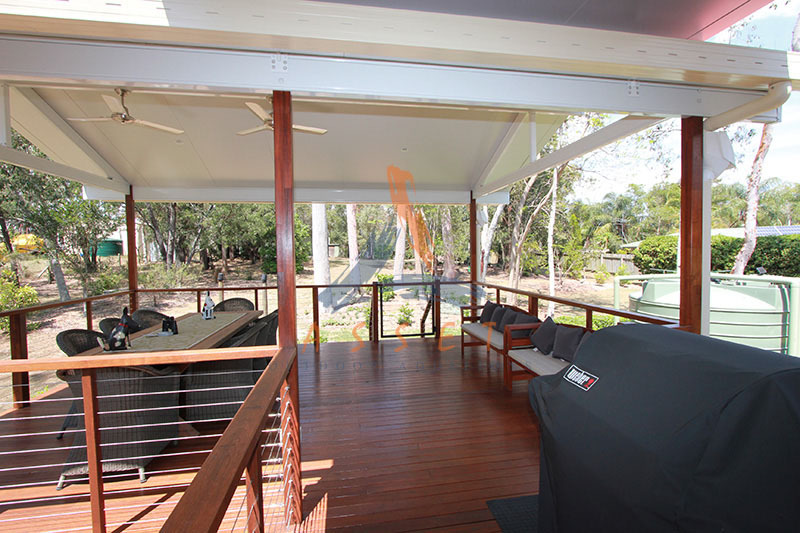 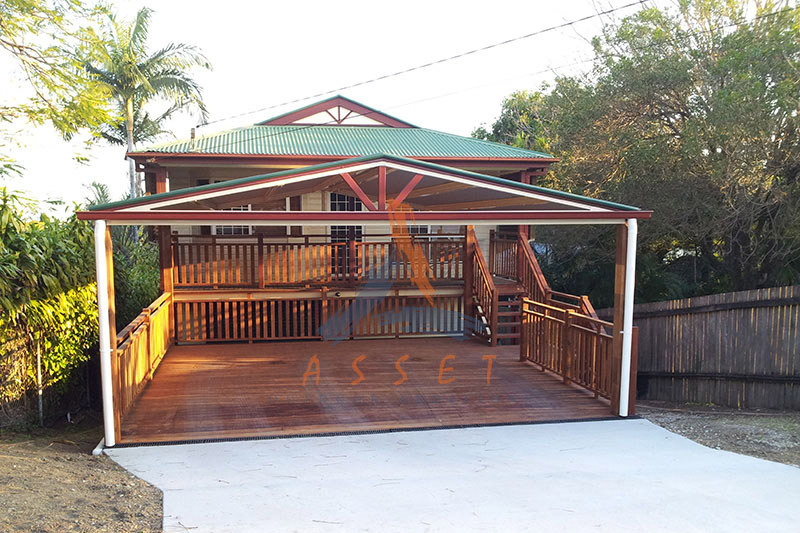 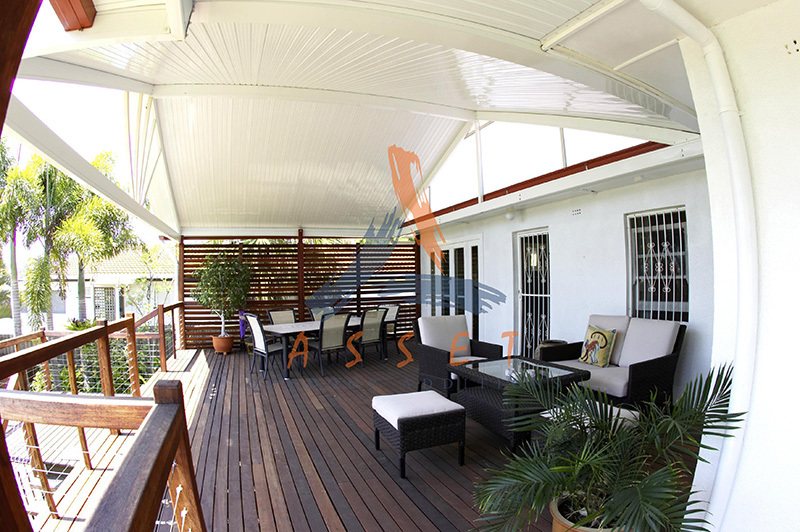 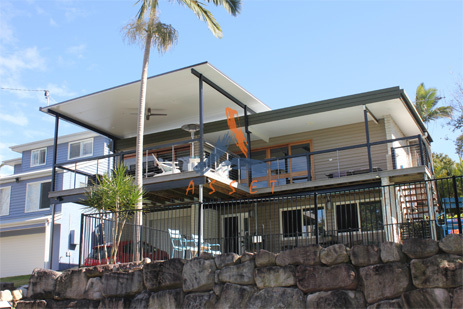 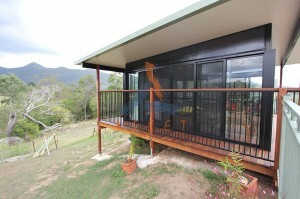 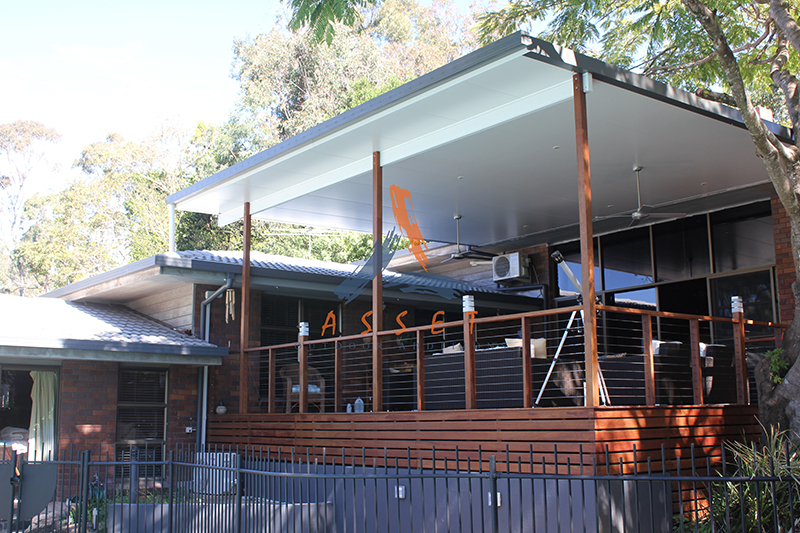 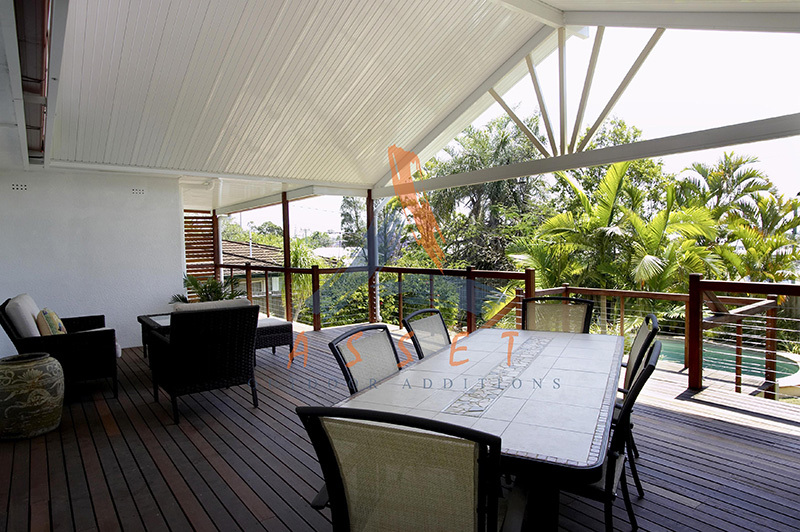 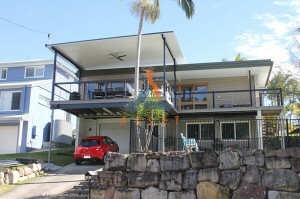 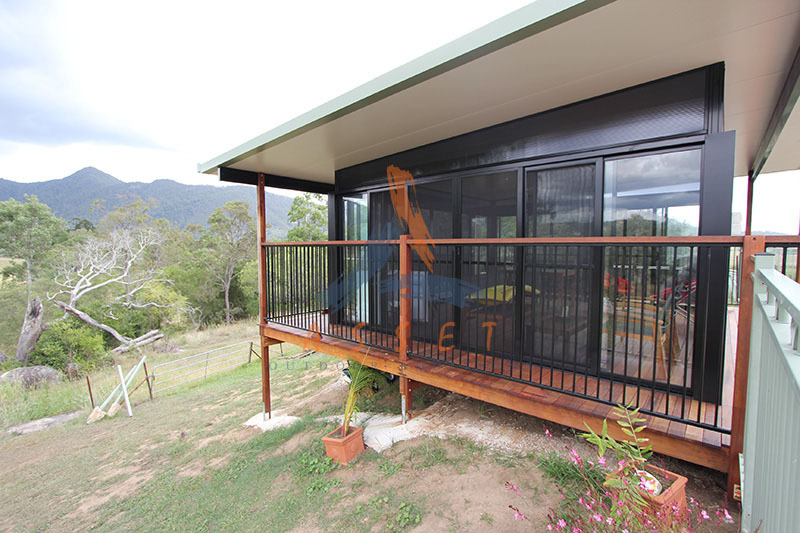 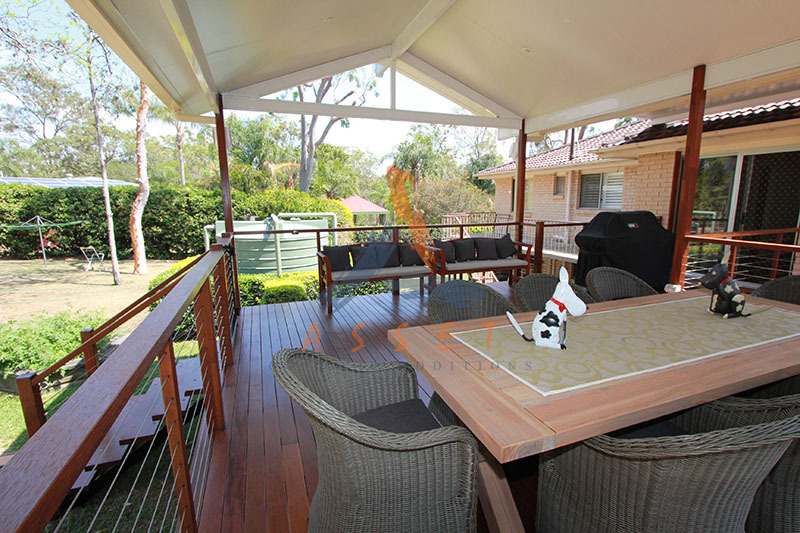 Asset Outdoor Additions specializes in custom designed and built decks, to suit any level home in the greater Brisbane area, including high level, low level, multi-level, car decks or pool surrounds. Our team of highly trained professionals will visit with you in home, listen to your ideas and work out the best design for your home. 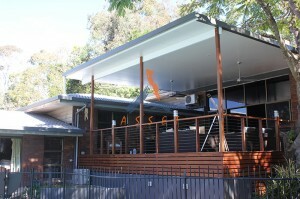 Not located in the CBD? 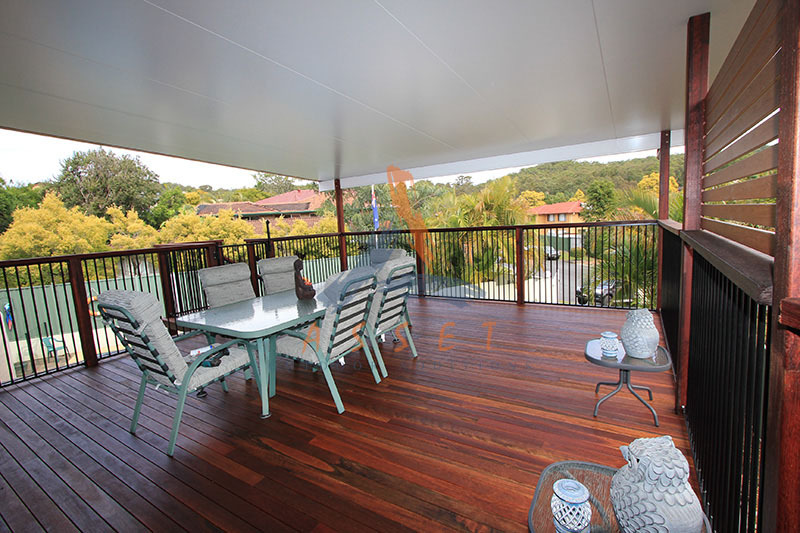 No problems, our deck builders supply and install solutions to residents throughout greater In order to make the process simpler, our team handles each job from start to finish, including organising the council approval. 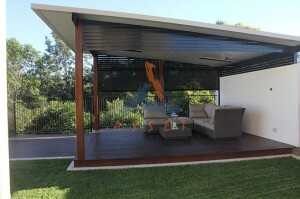 This means you will be enjoying the outdoors sooner. 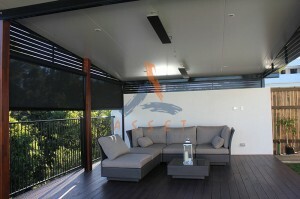 Start your journey with us and request a free quote. 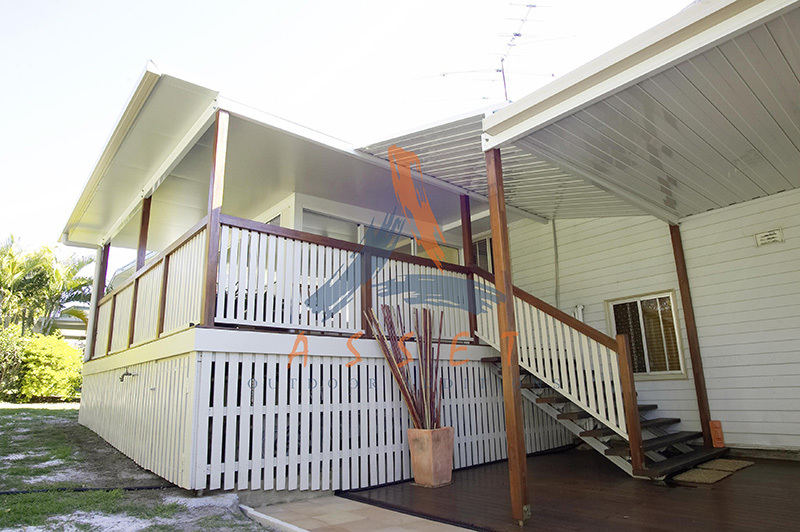 To make an enquiry simply complete our online form or contact us directly on 1300 727 124. Here’s what our deck customers have to say! 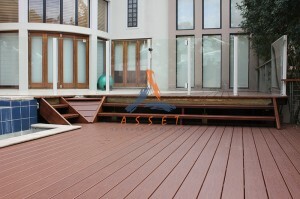 Thankyou, we are very happy with our completed project. 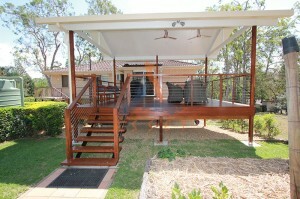 The boys did a wonderful job, very friendly, very professional, & so quick. We have no problem with recommending your company to our friends & neighbours if they need a building project done. I am just so pleased I found you via the internet by accident, best accident I have ever had. 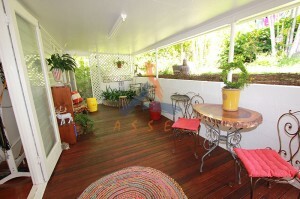 The effort that the Asset team put into designing and constructing our dream outdoor area was so refreshing. 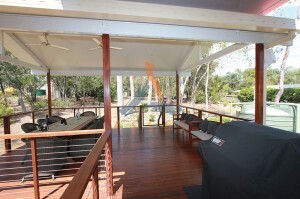 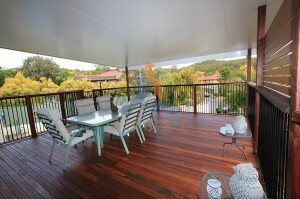 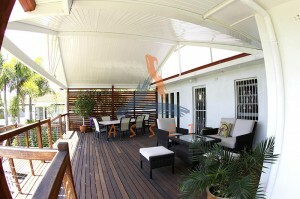 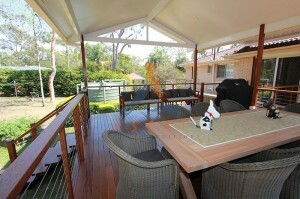 The big timber deck just looks amazing, we can’t wait to show it off to the family. 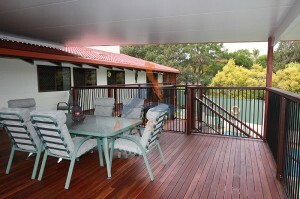 Look at our service to you!